£8.95- 3 Tapas/Meze at Lunch! 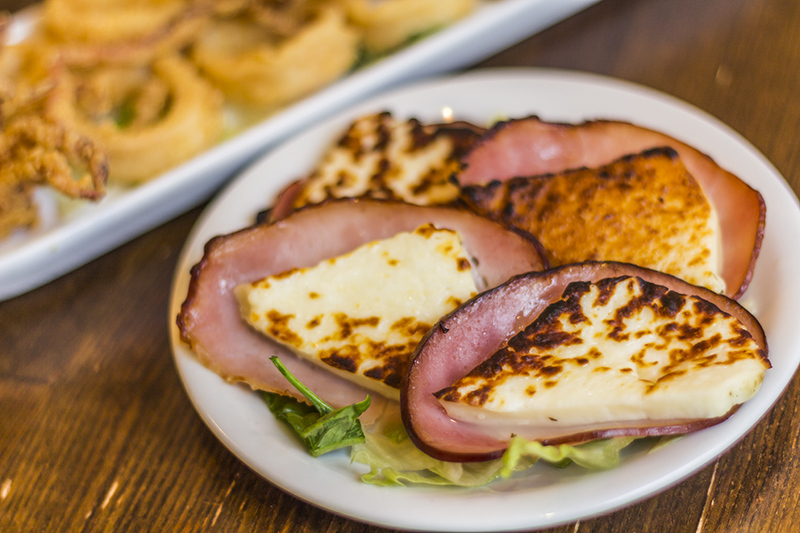 Enjoy a selection of 3 tapas or meze dishes for just £8.95 at lunchtime. This offer is available between Wednesday and Saturday until 4pm. Please note this menu is not available during December. Book online for free text confirmation or call 0115 754 1134. Available for tables of 4 upwards the party menu menu offers diners the chance to sample a selection of hot and cold favourites from the a la carte menu from the bargain price for just £18.95 per person. Not available during December. Book online for free text confirmation or call 0115 754 1134. Available for tables of 4 upwards the party menu menu offers diners the chance to sample a selection of hot and cold vegetarian favourites from the a la carte menu from the bargain price for just £18.95 per person. Not available during December. Book online for free text confirmation or call 0115 754 1134. Available for tables of 4 upwards the party menu menu offers diners the chance to sample a selection of hot and cold favourites from the a la carte menu from the bargain price for just £22.95 per person. Not available during December. Book online for free text confirmation or call 0115 754 1134. Enjoy a delicious selection of 3 tapas or meze dishes for just £8.95 at lunchtime in Nottingham's unmatchable Greek restaurant Yamas. This offer is available from Wednesday to Saturday from 12-noon until 4pm. Book online for free text confirmation or call 0115 754 1134. A Greek restaurant which does mezze. We had the veggie sharing platter. Portions seemed smaller than the last time we went. Very friendly waiter though. The place is looking a little worn and could do with a refresh and an update. We would always go back though! Once again excellent service and great food. Staff are so friendly and nothing is to much trouble. Thank you Yamas. See you again soon. Absolutely faultless as always. Such good value at 3 Tapas for £8.95. Everything was very fresh and so pleased they’ve brought back the village salad. This is my favourite place for a tapas lunch. Lovely range of food and great service. It was really lovely, I went to celebrate my Birthday. The good was gorgeous and the staff were fantastic. It is a lovely place and I would go there again definitely. Excellent service and food in a very friendly atmosphere. Fantastic. Amazing food and service. Would definitely recommend! An amazing evening thanks again! It was a Wednesday night and the restaurant was very busy. Despite this the service and food were excellent. Great night. We enjoyed the Souvlakia very much, the Greek salad & the fries were good. Our friends had the tapas menu as vegetarians, they have also enjoyed their meal. A fantastic meal will definitely be back. Very delicious, worth the money, service was excellent. 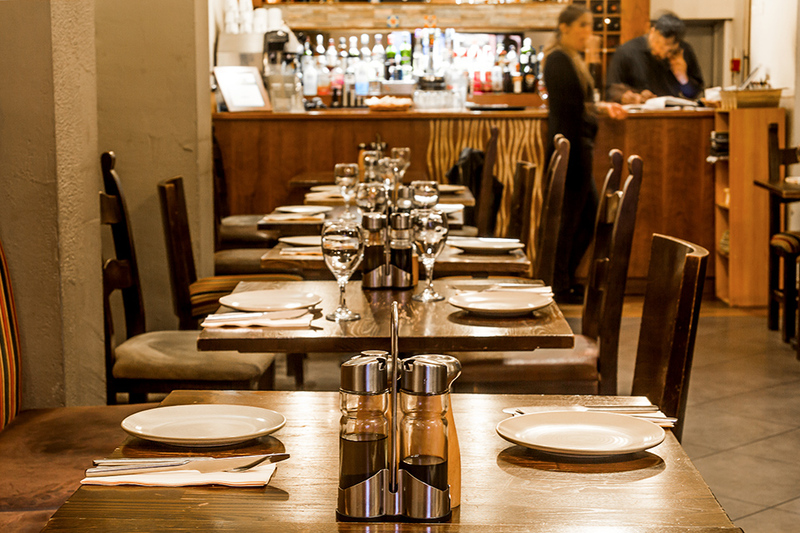 Attentive friendly staff, tasty tapas, good value lunch menu. Our meal was second to none, we go to Greece on holiday each year and really enjoy the food. And Yamas is a great place for traditional Greek dining. Been here before same high standard & quality would go again. Regularly go to yamas with family. Restaurant size is a bit of squeeze when you have a pram, but staff are accommodating. The food as always was delicious with good service until it got busy then we had to wait longer. It was very noisy and the person sat opposite me struggled to hear the conversation. First time going to Yamas .. a fabulous restaurant will definitely be going back .. food and wine was amazing and the service was brilliant .. so helpful nothing was to much trouble. Gem of a family run business with friendly staff, serving first class food. We have now been going for 8 years. Always a fabulous meal here. Amazing food, staff very friendly what more is there to say. Excellent! 5* on every level. Great food, brilliant family run restaurant with great customer service. A gem of a Taverna. The food was really tasty, however I did not realise that the restaurant was on 2 floors and unfortunately we were placed on the upper floor. This made it very difficult for 2 customers with mobility problems as there was no lift. If we were to return it would have to be specified that we were placed on a downstairs table. Went Yammas for the lunch offer, a friend and I had 6 tapas between us and it was great, such great value for money and we had plenty of food. Love Yamas at any time but will definitely go for lunch again! Went here on a recommendation from friends & spent a very relaxing two hours here. The food was very tasty & the service very friendly & efficient. Will definitely be returning. Lovely meal and really good value for money. This is the gem of Nottingham, and my favourite place to eat. The food is always authentically excellent, service is top notch and the staff surely know their wines. Value for money is faultless and everyone who I've recommended to go to Yamas has always loved it. Delicious food and drinks. Always warm welcome staff. The best Greek restaurant I'm Nottingham. Highly recommended!!! I frequently eat at Yamas, good food, good value and friendly attentive staff. I would definitely recommend this restaurant. I would advise booking as it’s always busy. Amazing food and atmosphere as always, spoilt for choice on the menu! Great food and service, not rushed. It was so relaxing. Not rushed and you felt you could order as little or as much without embarrassment! A gem of a place. Perfect food and friendly staff! Definitely will book again. Fabulous as always, tasty fresh food, excellent value for money and pleasant serving staff. Can’t fault my experience at Yamas. We spent a lovely evening in the restaurant. Great atmosphere, delicious food and friendly staff. We’ll definitely visit again. We had the special mezze. The food was superb and couldn’t fault it. I didn’t have room for desert as was so filling. I was just disappointed with the restaurant. We were given a table in front of the bar near the door to the kitchen. We asked to move as I felt uncomfortable. The second table was right by the door & we couldn’t relax as constant flow of people coming in & out. It is a very cramped & dark restaurant. It really spoilt the evening for us. It’s a shame because the food is very good. Great as usual. Probably the best value lunch deal in town. 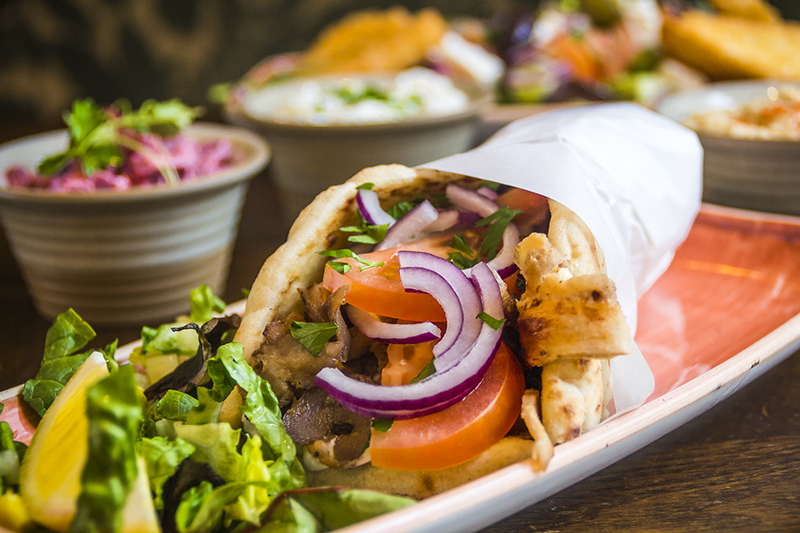 Yamas serves the most delicious food in Nottingham. I recommend their Moussaka. Delectable! The staff are warm, welcoming and the service is prompt and attentive. The tapas dishes can always seem expensive at first sight but the portions are generous and the ingredients are really good quality. Thank you, Yamas! Lovely good and service. Always a pleasure to dine here. My partner got stuck at work but staff were very understanding and held our table for us. The food and the service were amazing! Excellent as always. Have been several times, never disappointed. Fantastic in atmosphere service food. Superb night will definitely go again next time we are in Nottingham. Extremely tasty varied choice of Greek food. The excellent service too! Always a great experience in Yamas and our most recent visit was no exception. We opted for the larger set menu. The 4 of us who went are quite big eaters but it is still just WAYYYY too much food. Everything absolutely delicious, but if you go for it, be prepared to leave much heavier than you came in! Lovely restaurant, friendly, helpful & very attentive staff. Food was absolutely phenomenal, I recently returned from Cyprus & thought I’d eaten great food but this place is another level!! Our first visit to Yamas, and what a pleasant experience. Opted for the good value tapas lunch deal, and was not disappointed. Stifado was excellent..... could of eaten a full dish of it, maybe next time. There where quite a few parties in at the time of our booking, making it quite a boisterous ambience, but would not put us off returning. Thank you Yamas, see you again! 2nd visit and again another super meal, salmon in a cream and tomato sauce with lemon rice, had dessert this time and had a share of a Greek cake with honey and the Greek yoghurt with honey and nuts, a very delicious mix. Excellent and very friendly service. Had an absolute fabulous time at Yamas, the food was all freshly cooked and really good. The portions are generous, and the staff very helpful and friendly. I took 7 friends there for my birthday and we all had a great time, there are lots of different dishes to choose from, so something for everyone. Would go again. Delicious food, as always. Great service and a lovely atmosphere. The food is very nice and the menu is big,so there is plenty of choice for everyone. Worth ordering couple of dishes and sharring them! Very good value for money. The service was very goood apart from the fact that I felt like we rlwere being watched and as soon as we took the last bite of each dish the waiter was there to take the plate from us.....Impossible to scoop the last bits of deliciousness off the plate ;) will definitely be going back! Really lovely food! Delish! Lovely service. Would definitely go back. Another delicious, good value lunch. Staff are friendly and helpful. Great meze, the mushrooms and Lamb kokosstinos (SP?) were the highlights for me. Décor is a little dated and the restaurant was very warm but attentive staff and well priced food with quality ingredients made the meal good. We went as a group of 12 for a friends birthday. They did originally sit us a table too small but sorted it out for us very quickly and sat us upstairs. Our waiter Fredericko was excellent. We all ordered in twos rather to share as a table so when the food came out, he remembered who had ordered what and where to put everything. He was very patient and friendly too. The food was very tasty and good sized portions for tapas! He sang happy birthday at the end with us and celebrated with a shot as well. Would definitely go back. My husband and I had a lovely time at Yamas yesterday. We chose from the very reasonable lunch time menu and this is our first visit here. The food was delicious!!!! The service was very good indeed. Couldn't fault Yamas and will be definitely going back. Great atmosphere also. Lovely food as always and such good value for money. Staff are all very pleasant and efficient . Will always be returning. Music a little quiet when we first arrived but this was remedied. Everything was perfect as always! Love this place. The lunch special menu is such good value! Staff are lovely too!! Went with 4 friends and we all chose 2 dishes each. Every dish we had was fantastic. We were also amazed that the bill for 5 of us eating, 2 bottles of wine plus 5 other drinks only came to just over £100. Incredible value for money as we were all stuffed ! Absolutely fantastic food and experience. 100% will go again. I always look forward to dining at this restaurant. Everything about this restaurant is superb. Everything about this restaurant is excellent. Lovely cosy restaurant, no frills but very clean. Service was amazing and food was very tasty and Greek! Fantastic food in a great setting. Value for money is excellent and the staff are friendly and welcoming. I will definitely be heading back. The only improvement would be from a quicker service especially when the restaurant is not busy. This would not put me off from going again!! As always gorgeous food, excellent service and brilliant value for money! Me and my partner love going to the Greek islands and eating the lovely food. That’s why we come to Yamas. Great food, great service. A very nice place. We enjoyed everything the food was superb. The service was five stars. Eight of us thoroughly enjoyed our pre-theatre lunch. Staff are friendly and amusing. Food is very good, with a varied menu, and excellent value. It was extremely busy and they were having to turn people away, but they remained cheerful and helpful. Booking is therefore recommended. It was the first visit in Yamas restaurant. We've been SO positive surprise how delicious is food. So far is the Best green restaurant in Nottingham. Highly recommend to everyone. Always enjoy this place. The mezze is fabulous! Great lunch time meal, can't wait to visit again. 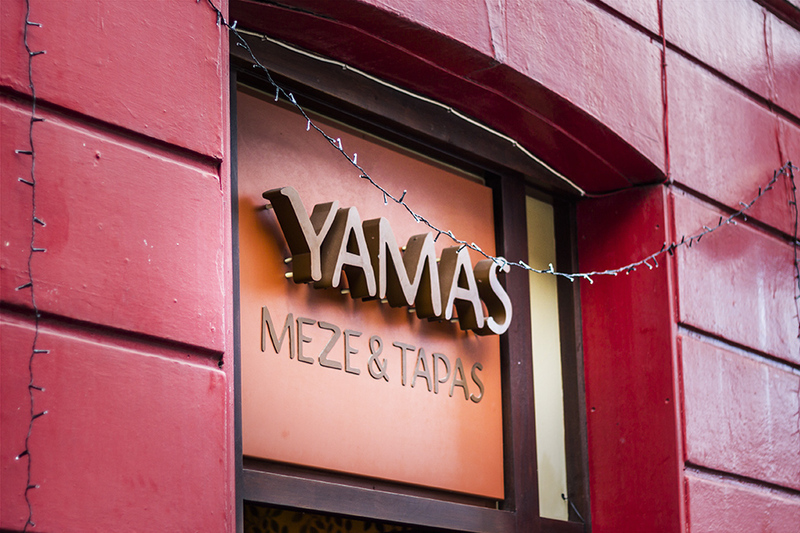 This was our first visit to Yamas, we would highly recommend it, when in the area again we will definitely return! 2nd visit to Yamas and have loved both of them. Masses of food, so great value for money. Had to roll me out the door, it was too nice to leave. People were friendly. Food was excellent plenty of choice. Had a lovely time at Yamas. Food was excellent and staff are friendly and very helpful. Great night. The food was delicious and the staff were friendly, will definetly go there again. As usual Yamas didn’t let us down. The food was amazing. Such good value for money. The service is first class and the atmosphere is great. Will definitely be back - again and again. Meal was excellent. Food was very tasty and service was very good. Great meal and very well priced! Fantastic Christmas Meze menu, well priced at around £23 each. Huge selection and more than enough quantity. 2nd time we've eaten here. Lovely meal. You do need to book as it's always busy. Excellent food and great value for money. Service was very good considering how busy they were. Great food as always and the prices are spot on. Extensive wine list completes it all. Only issue is they cram so many tables in there that service can be a bit on the slow side. Doesn't distract from a great value meal though. Amazed to see the place buzzing at 1pm mid-week! Expected a wait of 20-30 mins for mains - everything is truly fresh and cooked to order and, boy, does it taste good. By the far the best Greek food I have ever eaten. The Patatas Bravas is better than I've ever eaten in Spain. Can't fault the food, the prices, the size of servings or friendliness of the staff. Always love this place. Can always trust it for great food and service. As usual Yamas was amazing. The food is consistently good and the staff are always friendly. Would thoroughly recommend Yamas to anyone! The set lunch is excellent value. As there were 4 of us we selected most of the mezze dishes from the menu, all of which were delicious. The house white wine is good, as is the selection of desserts. This was my second visit within a few months, and all agreed we would recommend it and visit again. Lovely food at Yamas and good value for money. Excellent food and plenty of choice, good service, relaxed atmosphere. Fantastic restaurant with friendly staff and delicious food! Another fantastic meal, great value for money. Amazing! Everyone enjoyed themselves. Staff was very helpful and food was great! Already booked to go back again this month. Food was great they looked after us and we were a big party! Food was delicious and very filling! Wasn't able to finish all but thankfully pack up and take home was an option which we gladly did. The pork kebab was superb and definitely recommend the prawns in herb butter. Fantastic night out. Thank you! Excellent food. We love Yamas restaurant. The food is always great. We had the lunchtime Tapas and everything was tasty and plenty of it. Lots to choose from on the menu. Staff are very friendly. We will go back soon. Well recommended. Food was delicious, we ate from the lunch offer menu which was great value, service was friendly, and a glass of Greek wine was very good! Will definitely return! Food was delicious, we ate from the lunch offer menu which was great value, service was friendly, and a glass of Greek wine was very good! Will definitely return. We love everything about Yamas, food is amazing. I would say if you want a quiet meal it is quite loud as quite as a few parties eat there. However it's all part of the atmosphere! Food absolutely delicious and great value. Had the lunch time deal of 3 dishes for £7.95. Every dish was so tasty and presented well. Excellent and friendly service. Perfect! I have never had a bad meal at Yamas. The food is always excellent and the lunchtime tapas menu is really good value. The three I selected were all off good portion size and I am always full and satisfied after eating here. We shared a lemon drizzle cake as a dessert which was lovely as well. Top marks yet again Yamas! Had a lovely meal at Yamas with my friend, food was nice and staff were friendly. Lovely ambiance at Yamas, friendly service and delicious food! Lovely lunchtime meal - great food at Yamas. Good menu and friendly service. My kleftico was a bit disappointing and dry. The Steak skewers were good. And the Halloumi a little over priced for what you got. Delicious food, attentive service and fantastic atmosphere! I can't wait to return! All round great at Yamas! Yamas surpassed our expectations, the service was great, the food was delicious and the restaurant had a really nice easy feel to it. We will be going again and recommending Yamas to friends. The meal was fantastic, amazing value service was very good overall experience would definitely recommend! A really lovely meal and wonderful service. My first time here and I will be back! We ate from the lunchtime mezze menu and it was great value, the food was well cooked and tasty, and the service was good. Portions were generous and 6 mezze between two with pitta was just about right for us. Chorizo and spanakopita were two of our favourites. The food was absolutely delicious at Yamas. There was a nice, relaxed atmosphere with friendly staff. Me and my husband went for the Tapas Special, and I literally can't believe how much food we got. We couldn't actually finish everything, which is unheard of for me! I wish we lived closer because it was lovely. Great atmosphere, value for money and tasty food. Lovely food. Great atmosphere and service. We ordered a selection of tapas including vegetarian. The veg Moussaka and lamb tagine were among our favourites. Would recommend Yamas! Excellent service. Waiters were very helpful with our menu and wine choices. Busy place. Good ambiance. Tasty food. Will re visit. Great food at Yamas. We went to Greece last year and loved the food. So we wanted to try more over here. Stiffado was very tasty and meat fell apart. Vegetarian Mousaka was a lovely taste. Pitta bread was served warm and very fresh. We even had the Greek beer Mythos. Staff and Owner very friendly. Recommend highly and will be back! It pre warns you on the menu that service will be slower than what you would expect in a restaurant, but everything is cooked fresh and it really is worth the wait. I agree with this! It really is delicious. The staff were attentive, friendly and you get the impression they sincerely enjoy their job. Not been to Yammas before but would recommend it, especially if you like taking your holidays in Greece. The food is just a little reminder of those lovely meals looking at the blue sea from a beachside tavern. Pleasant, helpful staff. We had a very relaxed and delicious meal. The waitresses were extremely attentive without being fussy. One of our party needed to avoid certain foods and the waitresses both took time to point out allergy information and fetch alternative dishes. A wonderful night out. We were delighted with the meal last night. As organizer of a big party I found the whole experience stress free. The staff were delightful and flexible. Coped with last minute number changes. We felt welcomed and looked after. The idea of having a cash bar made paying the bill very simple, as people leave at different times and the cost was the same per head. Thank you, will definitely book again! Very good value for money, tasty food and great service despite being busy! Gorgeous food at Yamas. We ordered the lunchtime 3 meze dishes for £6.95. There was almost enough for three people once we'd added bread and olives! Lovely friendly service, great atmosphere. Beware though - £5.95 for a 500ml bottle of beer pushes the price up. We had one each. We'll share it next time! Food was excellent at Yamas, we will definitely come back here to eat again in the future and we'll recommend it to all our friends and family. We ate here after hearing great reviews and we were not disappointed with the food. 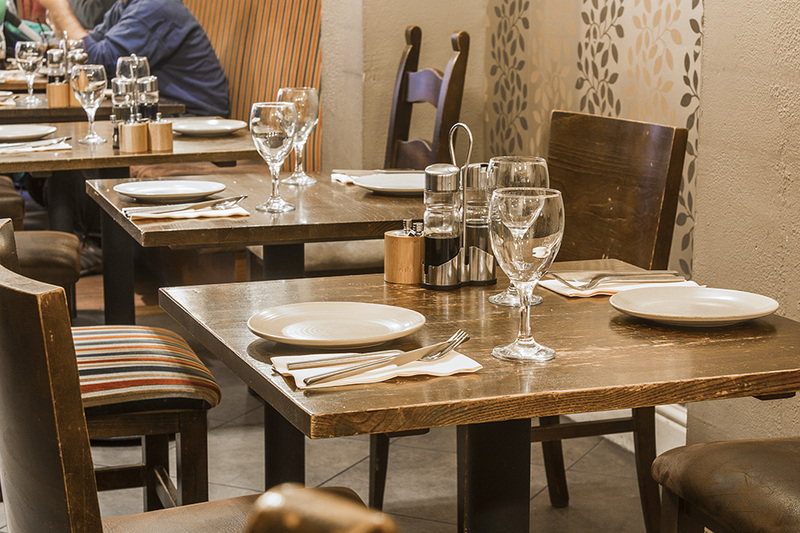 The only feedback we would give is that the service could have been a bit more friendly and the waiting staff could have been a bit more attentive. We had to call them over a few times when we wanted something. We wouldn't let that put us off visiting in future though. Great meal, thoroughly enjoyed the food. Great portion sizes, and good value meat dishes. Excellent! Although we went early evening on a Sunday and restaurant was fairly quiet - service was great and food and wine were lovely. Would definitely recommend! Very good food and service, just slightly cramped which made my table a little to close to the next couple's for my liking. Lovely food at Yamas. Great service! Amazing quality food, attentive staff and very friendly.....highly recommended. The food was lovely, the service quick and efficient - we're already planning to come back! Would recommend Yamas to anyone. A very enjoyable evening with colleagues from work (Group of 12). The food and service was excellent. The booking was easy, service fantastic and friendly, and the food faultless. The starters were a little on the expensive side for what you got, but the overall experience was definitely one I would repeat. Really enjoyed my meal at Yamas this weekend! The food was excellent and for the amount we had, very good value! The only slight drawback was the very loud birthday party group behind us made it hard to talk to each other during the meal, a little irritating. However, the service was excellent and we were made to feel very welcome! Fantastic food and superb service. Would highly recommend the special meze!! Absolutely fantastic experience at Yamas restaurant. After multiple recommendations from colleagues and friends, my expectations were high but my first visit to this Nottingham hot spot did not disappoint! We dined as a group of 6 on a busy Saturday night - be advised that you really do have to book in advance (think a week or two before, or more if it's a large group or special occasion!) We were there for a good few hours and it seems everyone else had pre-booked. The atmosphere was buzzing and lively but not hectic. Our server was also lovely, great at recommending dishes and very attentive. I'd particularly recommend the baklava desserts, and the beetroot salad, but honestly we ate most of the menu and it was all delicious. Will 100% return, very soon! We had a marvelous night! We ordered the special Mezes and spent the evening working our way through each delicious course. The wine was very good and the service was exemplary. Had set the Valentine's meal at Yamas. Four course Meze. Food and service was great. Good value too! Excellent value at Yamas, vibrant place with great food at a good price! Glad we pre-booked as people were queuing for a table at 730. Seated straightaway upstairs, there was a large group n few other tables in a small room which felt very cramped and noisy. Couldn't fault the service at all, very efficient and polite staff, although we struggled to understand a couple of the food explanations. Our Meze was really tasty and delicious food but we felt the courses were rushed. As did we when the waitress poured the remainder of our wine for us. We were quite capable of doing that thanks! Overall good service and food and worth the money. We will defo go back! We had a very relaxed family get-together. Plenty of food on the set menu and a warm welcome from the staff. Yet another lovely meal at Yamas. A delightful meal in a delightful setting at Yamas. The food and service were excellent and it was great value for money. Really tasty food at Yamas! Nice, attentive staff. Will definitely return! The lunch offer is really great at Yamas! Yamas is an excellent place to eat, and it has some good new dishes on the menu too. Great Lunch specials at Yamas! Delicious and great value! The food at Yamas was fantastic but we were seated in an upstairs room with a very large, and very loud party which made it difficult to hear even the person we were sat next to. Again because of this party the service was mainly focused on them and we were forgotten a little, but the staff were generally polite and friendly. Impressive lunch meal at Yamas - really tasty food, a wide selection. The wine list has some interesting on it from around the med. By far the best lunch deal in town. Portions are enormous, food very tasty, and a great wine list. Service can be a bit slow but that's Yamas being a victim of their own success. 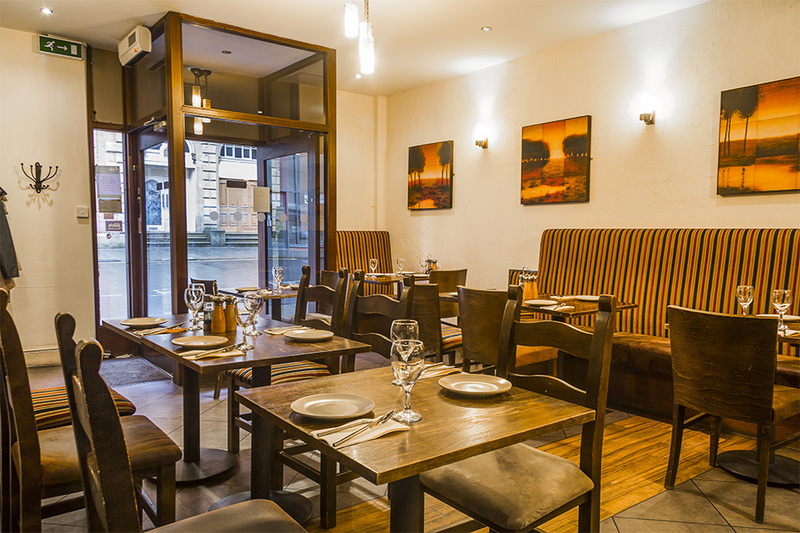 I have visited several times to Yamas - this is very good restaurant, the service and food are excellent, the ambiance is just right and it is excellent value would recommend to anyone in Nottingham, give it a try you won't be sorry. We went on Saturday to Yamas restaurant for their 3 for £6.95 offer. We were seated at upstairs at the back, near the kitchen and still had to wait over half an hour for our food. When it all came out, some was pretty good, others not so much. Went for the lunch offer of three tapas for £6.95. We added extras, flatbread and olives, as we thought it wouldn't be enough. How wrong we were! Loved the whitebaid, and the rice in vine leaves. Party in my mouth. They were very attentive and I'll be heading back to Yamas soon. Thank you! Excellent food, attentive service and great value for money. We will definitely be returning to Yamas. Had a wonderful meal, food was very authentic. Staff were brilliant too. Excellent meal, we chose olives to start of which there were plenty followed by the meat platter to share with Greek salad. All cooked lovely and very tasty, more than enough for 2 people. The restaurant was busy as it was a Friday evening, so pleased we booked in advance. 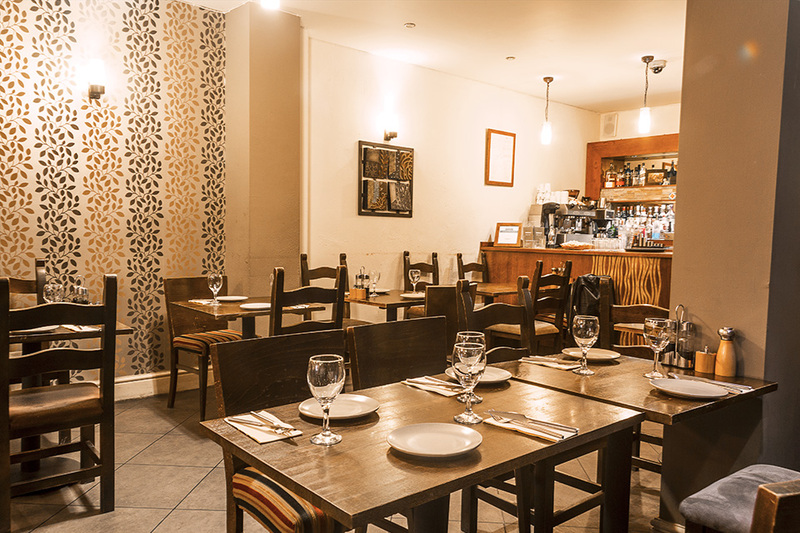 The food is excellent, the ambience is very welcoming this is great value at lunch time as well 3 Tapas for £6.95 good size portions and the service is really good well worth a visit! Amazing food, a lot to choose from for both veggies and meat eaters. Service was good, staff were attentive and sweet. 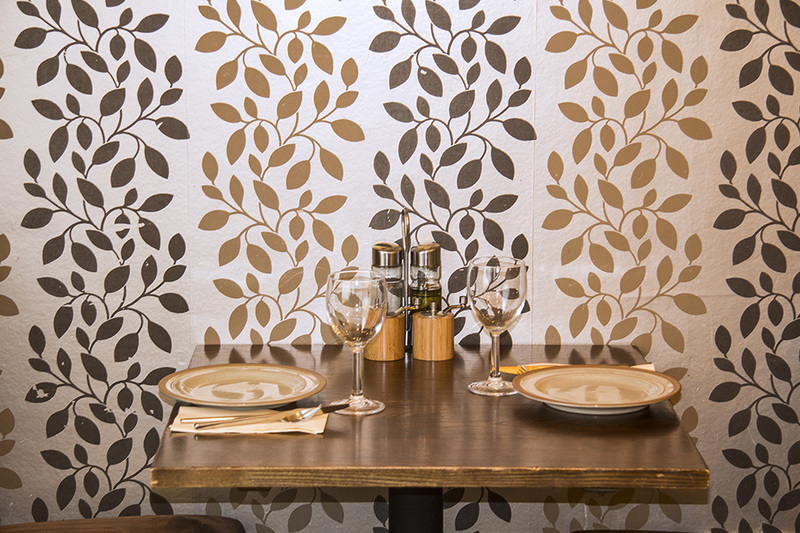 Cute restaurant, great for a date or with a big group - really good buzzing atmosphere. Very happy. We went for our first in September visit and we will go back again. The food and service was very good and plenty of vegetarian choice. Food was yet again excellent. Staff were attentive and i left full and happy. Great place to eat! Food was amazing! Had a really great birthday meal and will definitely be back. This was our first visit and we will go back again. The food and service was very good and plenty of vegetarian choice. We visited Yamas for the first time with my sister & sister in law (who have been before & highly recommended it). The food was delicious - fresh & high quality, the staff were attentive (at the right times), and nothing was any trouble. My husband said the price was a little on the expensive side but you do get what you pay for. HIGHLY RECOMMEND! Lots of vegetarian options, food was delicious, good choice, great service. Would highly recomend it! Not our first visit here, so we knew what to expect. The food was up to the usual high standard and the service was excellent. Would definitely recommend this to anyone that likes tapas. Yamas is a little treasure, good simple Greek food, bustling atmosphere (Thursday night), good value (we had the meze) and attentive staff. Excellent food, and always made very welcome at Yamas restaurant in Nottingham. Great night after the ice hockey. Lovely food at a good price. We ate from the christmas mezze menu which was tasty and good value. However there was maybe more food than we needed but no complaints really. Service was excellent, very friendly and welcoming. I would recommend Yamas for groups of friends wanting to share tasty food in a relaxing atmosphere. Great food at a great price. Despite being busy, service was very good. Very friendly and attentive staff, willing to make recommendations and give advice where needed. Would definitely recommend. A lovely hidden gem. Very friendly staff & gorgeous fresh, tasty food. The platters are fantastic value for money. Overall an excellent restaurant, great food, exceptional value, excellent service, the only drawback was that we were out for our anniversary, and the ambience didn't really suit the occasion. The restaurant was very full (great), but the room was very noisy. Wouldn't be an issue for another type of occasion. Lovely place, lovely staff and YUMMY food! Delicious food, helpful staff, lovely overall will definitely be going again. Good every time we go. The meal was very tasty and offered a good selection of food. We dined from the Meze menu. Always good value for money, excellent service and lovely food. One of my favourite restaurants in Nottingham. The food is really tasty - would highly recommend gigantes (giant beans in rich sauce), stiffado (slow cooked beef stew) and the salmon. Also the Greek yoghurt with nuts and honey dessert is really nice. Staff and waiting style are second to none and the format of the dining experience is really casual and fun with it being tapas style. Superb. If I had to make a small criticism it would be that the food portion sizes have dropped a tiny bit since it first opened. Had a fantastic time at Yamas, the food great, the service awesome. Would definitely recommend this place to everyone. 10 out of 10! Very tasty and excellant service. The food was enjoyed by all of us. We thoroughly enjoyed our time at Yamas last Friday and we will definately be going back. The only slight niggle was a very loud group of ladies on a hen night who got louder and shriller by the minute. Forgetting the ladies the food was awesome, the service was spot on and we loved it!! Service was excellent - had the meze which was good with good vegetarian options. The food was absolutely stunning the service first class and we will definately be paying another soon. Nothing to fault - everyone is so friendly. Being a Greek native myself, I felt nostalgic this whole week and was really craving some greek food. I have been to Yamas a few times and have not been disappointed! The service is great, the waiters and the owner are warm people who genuinely seem to like one another and have a good dynamic between them, and the food is always great. I would recommend the vegetarian or meat platters, which are great for sharing! I really did get a taste of home again, which is exactly what I was looking for! Good selection for vegetarians at reasonable prices. Service was quick and friendly. Great night, nice relaxed atmosphere, well informed staff who were extremely friendly and excellent food. Will be returning again soon and bringing along some friends. Yamas is an amazing little restaurant! The food was fantastic, the restaurant had a great feel about it and the service was amazing! I gave the toilets a 6 purely because we didn't use them so I couldn't comment. The only slight negative was purely down to my own ordering choice. I got two very protein full dishes in the whitebait and meatballs and it was a little stodgy (I wish I had the meatballs and maybe a salad) but the food itself was faultless. I reccomend it and will definitely be back myself! A very good first trip to Yamas. Service was very good, especially with the restaurant being full. Maybe a little bit too noisy, but some big groups celebrating various things. We shall certainly be back. Yamas had been recommended to us by family and I am pleased to say that we were not disappointed. The selection of dishes was excellent and the quality was superb. The staff couldn't do enough, they were attentive but not pushy and I am sure that we could have stayed there all night if we wanted. We will definitely recommend them and visit again if we are ever in Nottingham. Great food, fantastic service and a nice, relaxed atmosphere. The £6.95 lunch offer is excellent value. Friendly and attentive staff, very tasty food, will definitely be visiting again! A little gem in the Notts city centre with a nice family run business warmth to. Excellent value, at this point my favourite joint. A really lovely place to eat with a variety of quality dishes to choose from. We had the Moussaka which was delicious, plus 3 other dishes and t was great value. Staff were very attentive and welcoming. Very nice evening, well cooked traditionally greek food - really tasty. The only downfall for us was the tables for two were right next to the bar and open fire exit which affected the ambience a little. Otherwise a great evening and I'd definately visit again. I love this restaurant. I took my partner there as I was hoping for a reminder of the food I have enjoyed on Greek holiday’s. The concept of this food being more refined and served in tapas style suits me down to the ground. We enjoyed a tremendous salmon dish (beautiful flaky salmon), a stiffado (a warming Greek slow roasted lamb stew), dips and olives, prawns and large beans in a rich tomato sauce. The atmosphere is fun and vibrant and we had an incredible time there. 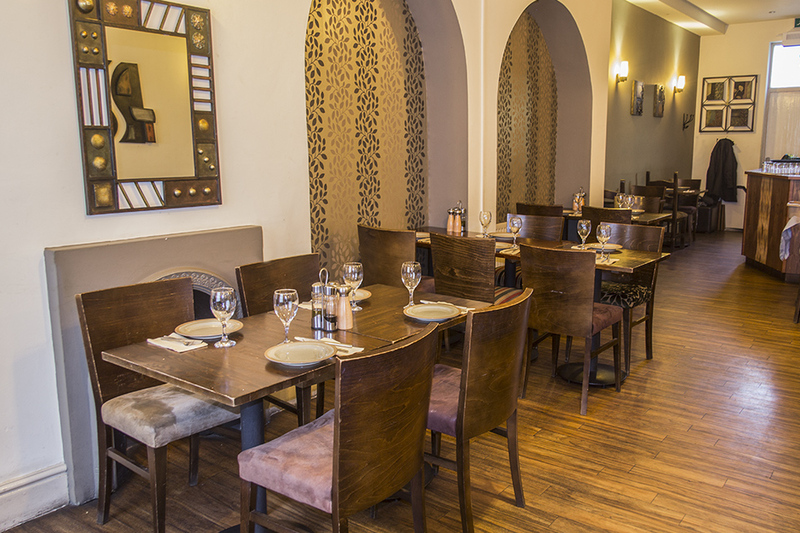 Authentic Mediterranean oasis in the heart of the city centre. 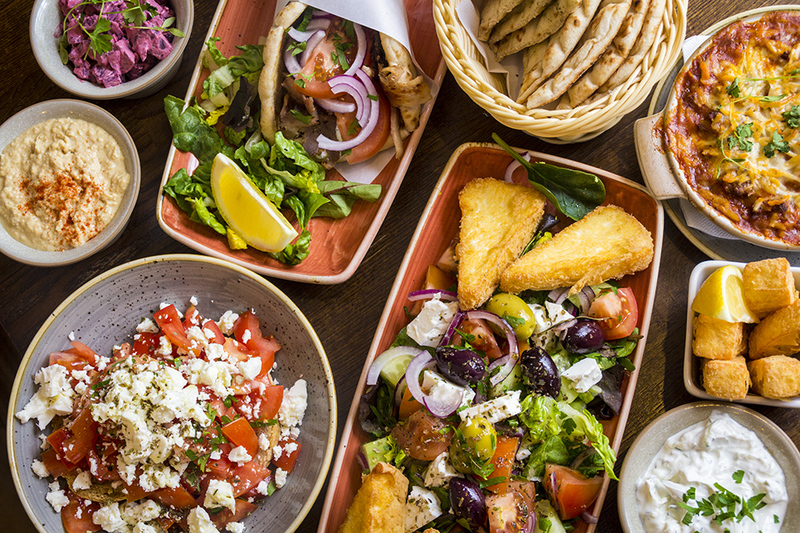 Escape the hustle and bustle of the city streets and immerse yourself in an authentic Greek dining experience by feasting on Mediterranean meze and tapas in the hugely atmospheric, family-run Yamas. Roughly translated, meze means “snack", the idea being to order a selection of dishes to share. 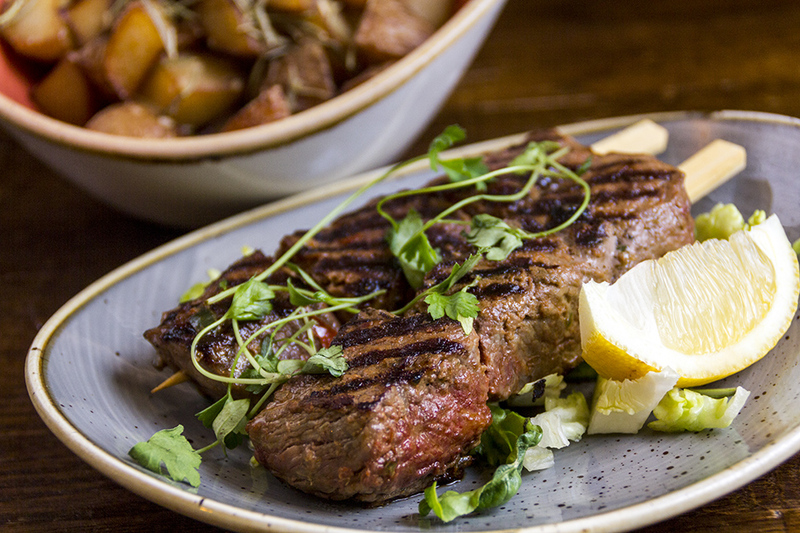 The main tapas menu features a host of meat, fish and vegetarian dishes designed for sharing, such as traditional barbequed Souvlaki; tender pieces of slow-marinated meat that simply melt on the tongue; or a traditional Moussaka packed with flavoursome lamb and hearty vegetables. All of these can be accompanied with an array of traditional homemade dips, from refreshing tzatziki to a tabbouleh bursting with the flavours of finely chopped parsley, tomatoes, mint, garlic, bulgur, olive oil and lemon juice. It goes without saying that there’s enough aioli for everyone! True to their ever-accommodating nature, there are plenty of options on the Yamas menu to suit both gluten-free and vegan diets. 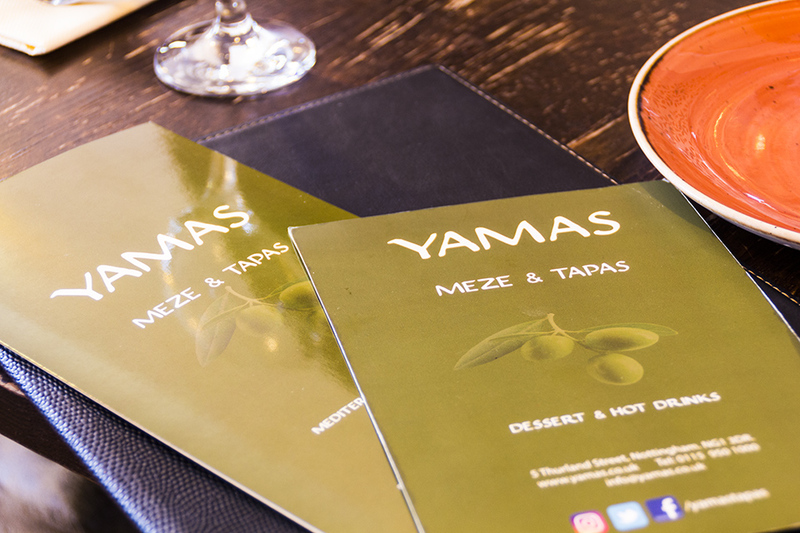 For a generous meal that’s rich in Greek atmosphere, book your table at Yamas today. A selection of cold cheeses & meats. Risotto with pea, mint and prawns. Please note they are unable to have a la carte dishes and party menu seated at the same table. We advise you to speak to a member of staff if you have any food allergies or intolerances. Offer 5 Offers Available £8.95- 3 Tapas/Meze at Lunch! £18.95- Party Meze Menu £18.95 - Party Vegetarian Meze Menu £22.95 - Special Meze Menu £8.95 - 3/Tapas/Meze Dishes at Lunch! 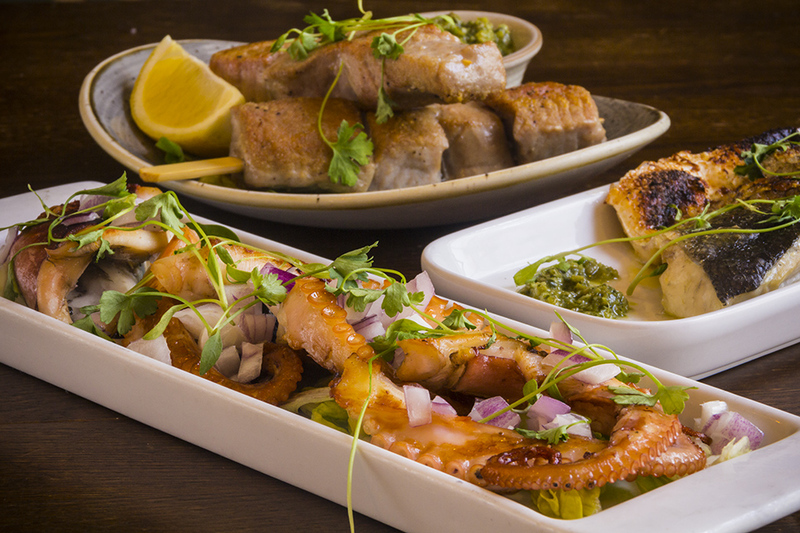 Enjoy a selection of 3 tapas or meze dishes for just £8.95 at lunchtime. This offer is available between Wednesday and Saturday until 4pm. Please note this menu is not available during December. Available for tables of 4 upwards the party menu menu offers diners the chance to sample a selection of hot and cold favourites from the a la carte menu from the bargain price for just £18.95 per person. Not available during December. Available for tables of 4 upwards the party menu menu offers diners the chance to sample a selection of hot and cold vegetarian favourites from the a la carte menu from the bargain price for just £18.95 per person. Not available during December. Available for tables of 4 upwards the party menu menu offers diners the chance to sample a selection of hot and cold favourites from the a la carte menu from the bargain price for just £22.95 per person. Not available during December. Enjoy a delicious selection of 3 tapas or meze dishes for just £8.95 at lunchtime in Nottingham's unmatchable Greek restaurant Yamas. This offer is available from Wednesday to Saturday from 12-noon until 4pm.